Reunion Island is a French Department in the Indian Ocean and is known for rainforests, coral reefs and scenic beaches. Its most iconic landmark is Piton de la Fournaise, a climbable active volcano. Reunion is a Department of France, so there are no particular regulations when emigrating there if you are an EU citizen. It is exactly as if you were emigrating to France so you do not need a specific visa or authorization to travel to Reunion Island. I had a very pleasant experience with Air Austral. The food was above average for economy. The movie choice was a bit limited but there was enough in English to keep us entertained. We were able to drink as much as we wanted while going to Reunion. The onboard crew was outstanding - friendly and professional. I realize that the Airport among France and Reunion are too much different but in the end I will say I enjoy a lot in Reunion a small planet. I traveled from Paris to La Reunion. I was very disappointed with my flight experience on Air Austral – the seats were very damaged, small, uncomfortable, and dirty. Due to health problems, I cannot eat either fat or sugar, so I always order a light meal except. On Air Austral, this meal was "exceptional" but also had an exceptional price. The meal cost the astronomical price of 20 €, and after all that, I ultimately ended up with a meal with fat! Between the outward and return flight to Reunion I had email exchanges with the company about this, but the Reunion Airline union had nothing to do with this matter. Reunion is under the law of France, but the Air ticket is too expensive and the flight was not good. Q. What are the major places of Reunion island? A. Mafate, Maido, and Grand Anse are the best places on Reunion island because they offer everything from hiking to beaches and waterfalls. Airports handling direct flights to Pierrefonds Airport ・St. John's International Airport ・Tambo International Airport etc. Airports handling direct flights to Pierrefonds Airport ・Tiksi Airport ・Hongqiao International Airport (SHA) etc. Airports handling direct flights to Pierrefonds Airport ・Singapore Changi Airport ・SSR International Airport etc. Airports handling direct flights to Pierrefonds Airport ・Orlando International Airport ・Allaa Iqbal International Airport (PAK) etc. Air France flies directly from France to Roland Garros Airport in Runion Island. Air Austral also travels directly from Mauritius and offers transfers to various destinations on Reunion Island. The Thalys Airline travels from Paris towards Brussels via Reunion Island. 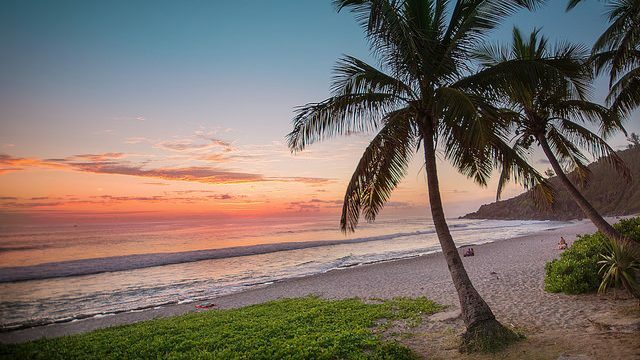 Some seasonal service from Suvarnabhumi Airport to Reunion Island can also be found.